Reclaimed DesignWorks is proud to partner with Olde Wood Limited to provide only the best in reclaimed wide plank flooring options. Here at RDW, we entrust in OWL's remarkable selection of reclaimed materials, and are thrilled to offer their products in all of our showroom locations. 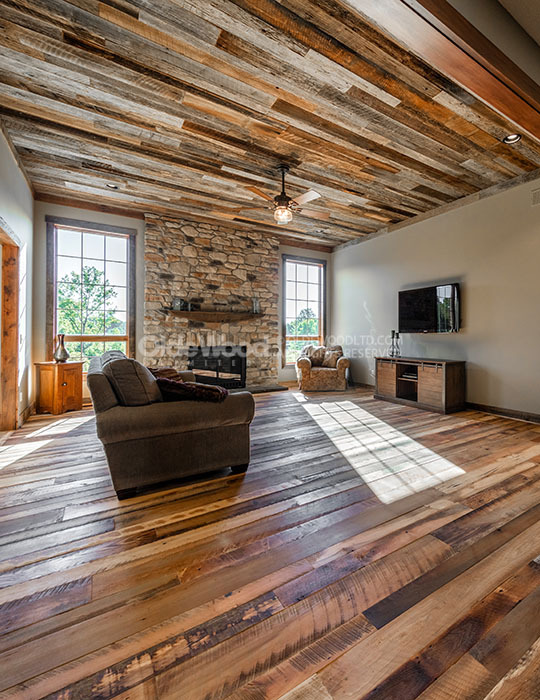 The reputable owners of Olde Wood Limited, Tommy and Mandy Sancic, started the company in 1997 with a small team of three and have grown into one of the largest wide plank flooring and reclaimed building materials manufacturing facilities in the nation. 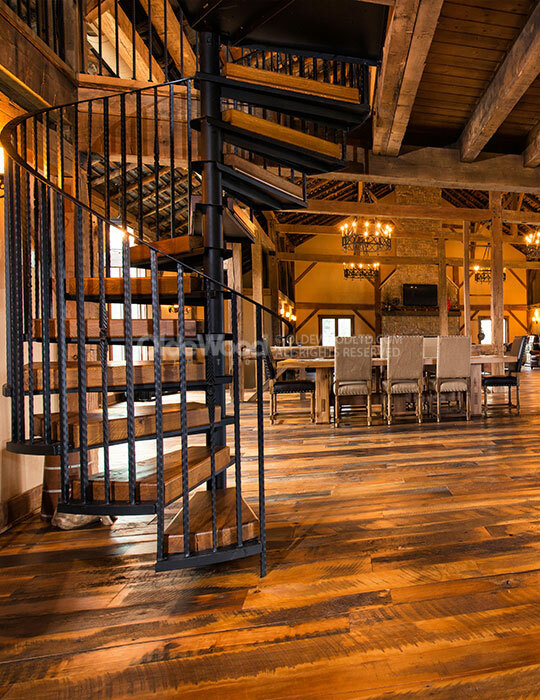 Their main facility in Stark County, Ohio uses both traditional milling methods and state of the art CNC equipment to ensure their reclaimed flooring is of the finest quality. By producing all of their materials under one roof, OWL can ensure that their practices are 100% green and environmentally friendly. RDW is pleased to partner with a company who cares so much about not only the authenticity of their products, but also the satisfaction of their customers. Beautiful hardwood does more than just illuminate a living space. It creates a unique ambiance that relaxes, inspires, and causes the mind to dream. Olde Wood Limited is the leading manufacturer of the finest quality custom-milled flooring and other building materials. With 20 years of experience in the field, they have worked with thousands of customers and millions of feet in building materials. When it comes to the reclaimed industry Olde Wood Limited is an expert, and their craftsmen will ensure that your reclaimed flooring is of the highest standard. They commonly produce over 1 million square feet of hardwood flooring annually and are proud to do so in their main facility - absolutely no outsourcing required! Rest assured that these products will fit in perfectly with your residential or commercial project. Step into one of our showrooms, and experience the difference for yourself. Our representives will be happy to help and answer any and all of your reclaimed questions. Reclaimed DesignWorks will continue to stand by our customers, and are happy to supply top of the line reclaimed materials manufacuted by Olde Wood Limited.